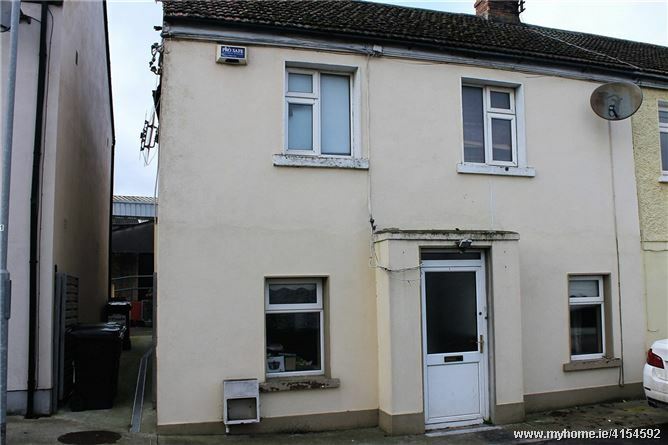 Sherry FitzGerald are delighted to bring to the market this four bedroom semi detached house located in the centre of Rush Village. The property requires modernisation enabling a buyer to create their own design and finish in this central location. Barrack Lane is just a five minute walk from the beach and Rush village with its host of amenities including shops, pubs, restaurants, with Primary and Secondary schools. Accomdation comprises of living room with feature fireplace and wood burning stove, fitted kitchen, four bedrooms, family bathroom, and private rear garden. Rush is well serviced by Dublin Bus and Irish Rail. The M1 is just a five minute drive and Dublin Airport 20 mins. Living Room 4.4m x 5.6m. Utility Room 1.1m x 1.8m. Downstairs Wc 1.5m x 1.16m. Bedroom 1 3.55m x 3.77m. Bedroom 2 2.99m x 3.45m. Bedroom 3 2.64m x 2.98m. Bedroom 4 2.56m x 1.14m.